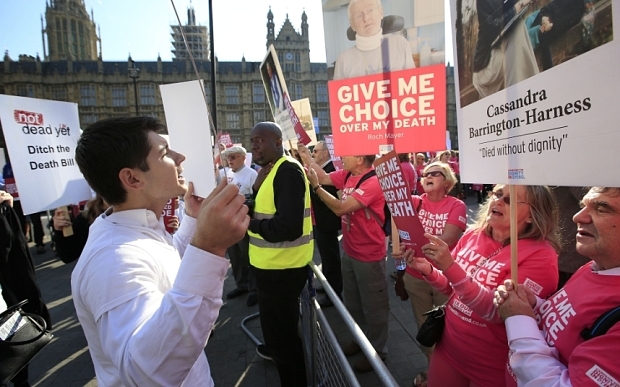 Assisted suicide, or dying with dignity, is one of the most hotly debated issues in global politics. It is the act of giving a person who is terminally ill prescription medications that will help them pass away peacefully. It is only done when a person has been given a few months to live and they know a lot of those days are going to be painful and miserable. Many who are faced with an imminent long and painful death would prefer an option that lessons the suffering. Supporters of this act say that “dying with dignity” gives the terminally ill patient the opportunity to die on her or his own terms. People who oppose this practice say it is wrong for doctors to help anyone commit suicide. In the U.S., Montana, Oregon, Vermont, and Washington, plus one county of New Mexico have legalized physician-assisted suicide. In all these locations, patients must have a terminal illness and a prognosis of six months or less to live to be eligible. On Monday, October 5, 2015, California Governor Jerry Brown signed into law a bill that will allow for physician-assisted suicides to take place. California’s law is based on Oregon’s law, but affects the enormous population of the Union’s largest state. Oregon was the first state to allow the practice. Since 1997, about 1,327 people have received prescriptions for the lethal drug, but about 859 of them actually ingested it and died. It’s important to remember that this does not mean that this practice has killed 859 people, but rather almost all of those people would have died anyway, but mostly likely in a more painful and expensive way. There have been many times when a doctor has been wrong when telling a patient that he only has a few months to live. Doctors cannot tell you for sure how long you have. You may be cheating yourself time by ending your life around the time you thought you were going to die. wouldn’t count that as a clean victory. Simply living longer is not enough. There are many factors that come into play when it comes to how long terminally ill patients are going to live. A study published in the British Medical Journal reviewed predictions of terminally ill patients with cancer in 3 countries over 30 years. They were correct within a week about a quarter of cases, right within 2 weeks in 43%, and correct within 4 weeks in 61%. Doctors actually tended to overestimate survival when they were wrong about their predictions, not underestimate it. You can decide if this fact supports the idea of taking the pill or undermines it as it could be easily seen in either light. Any end of life decision will concern your family and friends. 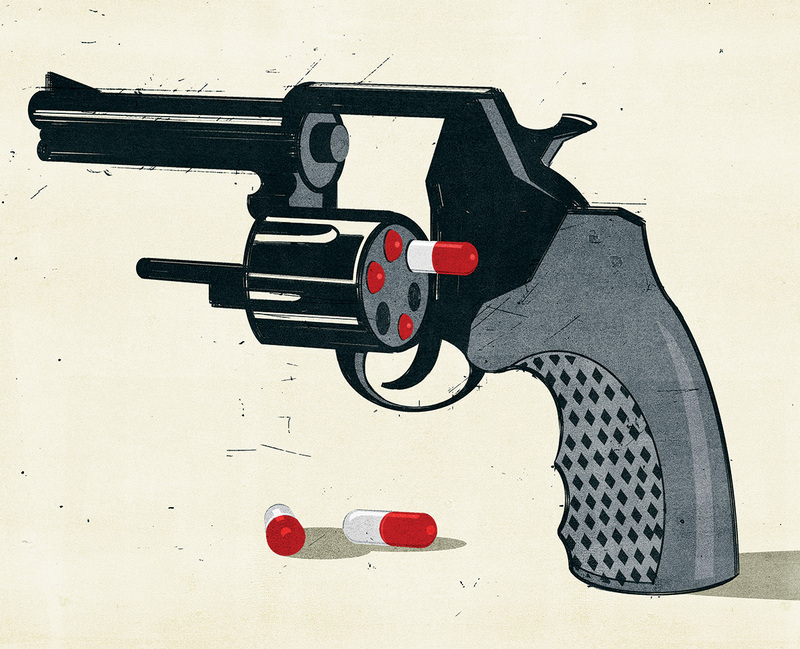 A choice to end your life by way of a pill would rob them of moments they could share with you. They may have something meaningful to tell you. Perhaps to ask for or grant forgiveness, or tell you how they feel about you but had thus far been unable to communicate. These truths come out in their own time and may not conform to any schedule you set for yourself. It’s important to resolve as much as you can with your loved ones for everyone’s sake. Friends and relatives may know that this is a sensitive issue for you and tell you that they respect your decision but in when it comes down to it, they may not want you to go any sooner than you would should things be left to unfold as they will. It’s also possible that extra time with you would be stressful for your family if you are suffering and the prognosis is grim. We often want to remember our loved ones in good times and not have our memories tainted by visions of them writhing in pain or pumped full of medication, no longer in control of their own bodies. 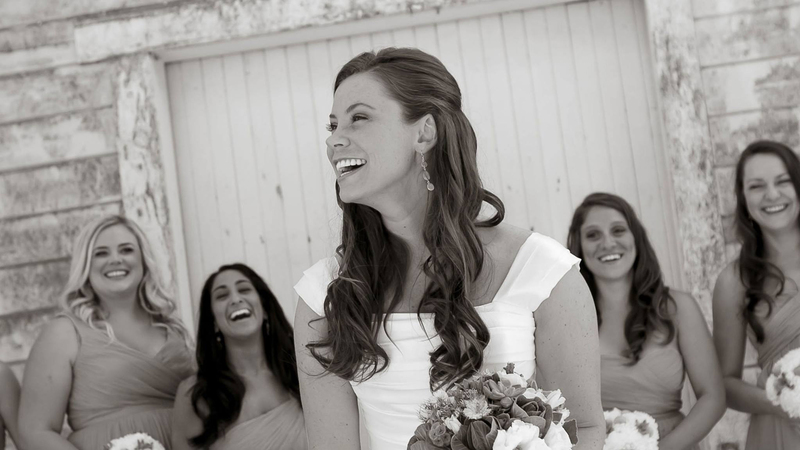 Brittany Maynard earned her master’s degree in education from UC Irvine and went on to teach in orphanages in Kathmandu and Nepal. She loved traveling and knew she wanted to help kids from an early age. She married in 2012 and enjoyed 2 years with her husband before regular and debilitating headaches compelled her to see a doctor. She was diagnosed with grade 2 astrocytoma, a form of brain cancer. She was promptly treated by way of 2 surgeries, but the cancer returned that same year in a much more aggressive form. 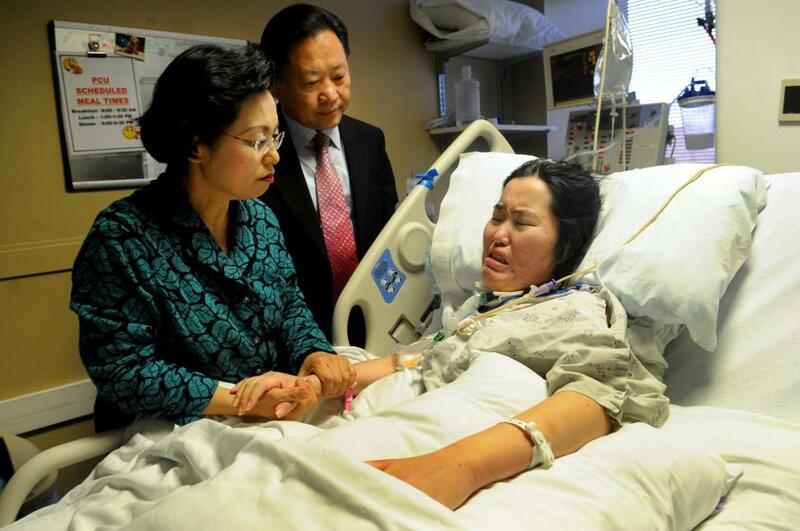 She was given a prognosis of six months to live. Her home state of California did not allow for physician assisted suicide when her medical issues came to light. Brittany did some research on her options and discovered the Death with Dignity options that were legal in the state neighboring her to the north, Oregon. The more she learned of her condition and her options, the more she became a public champion of patients’ right to choose how to end their lives. She wrote a moving letter published through CNN and other news outlets where she described her terrible pain. She said in California, she would be given full brain radiation. Her hair would be singed off. Her scalp rotted with first-degree burns. She wrote that because she is only 29 years old, her body would likely endure more of this torture than the average cancer patient and she would be heavily medicated and no longer in control of her body. She was rightly afraid of this and didn’t want her new husband to see his love go from blushing bride to an agonized and burned shadow of her former self. She decided to move to Oregon, as the state requires that you be a resident to utilize the laws there on assisted suicide. She was given the pill, which she admits took a great weight off her shoulders and allowed her to enjoy her last few months. She celebrated her husbands birthday, and soon after ingested the pill and died peacefully. In the wake of Brittany’s death, her family successfully spearheaded the campaign to legalize assisted suicide in California. Physician assisted suicide indeed concerns everyone in your life. Your friends and family will no doubt have strong feelings about it. Death in general is a difficult subject for most and this could add one more thing to deal with in an already troubling time. What do you think of the practice? Is it a cop-out, is it playing God? Would you choose it if you were almost certain you were not long for the world and your last weeks or months would be almost nothing but pain management and suffering? How would you feel if a loved one of yours chose this? Clearly, this subject makes all the other issues of the day pale in significance. Thank you for bringing it up. There are, as stated, many sides to the question of “what would you do”? Religiously, many are of the feeling that life being a gift from their creator, it it not something to throw away. Regardless of the suffering, there are those that believe that the suffering, while horrid, is also a gift from God. Never having been in that situation, I cannot begin to explain that thought process. Nevertheless, I respect it and honor it if that is what someone wants. To choose to end the life, frought with pain and suffering that will have no good end, I can also respect it and honor it. Medically, it is a little easier to work through. Doctors are supposed to “do no harm”. Their mission is to do their best to heal. A difficult mission at times when they realize that in spite of their valiant efforts, they will fail. A recent study on how doctors themselves die is quite revealing. The vast majority who have been diagnosed with a terminal illness, forego the “marvels” of modern medicine and go home and die, essentially untreated, save for comforting palliatives. They realize the futility of their own science’s ability to effect a cure, and restore a modicum of quality of life in many cases. The truly interesting thing here is that most people do not fear death. What they fear, and very often fear greatly, is dying. The process of going from living to dead is a subject that most people do not even wish to entertain or discuss. Being dead is not the problem for most. It is getting there that strikes all kinds of fear in most people. For some, it is putting their loved ones through all kinds of trauma during that process. That often outways what they themselves are going through. The praying, the vigil and the sitting and waiting for the inevitable, just to have everyone around you say “thank God they are finally gone.” While during that time, the dying person is often out of it on drugs, or in a coma, or somewhere beyond unconscious. Perhaps, just perhaps, doctors seem to have the right idea. Let me go home, make me comfortable over time and let me quietly slip away. No tubes, no IVs, no heroic life saving attempts by anyone. Difficult choices, all of them. But choices we all must make sooner or later. Personally, I am comforted by the thought of death because, religiously, I believe that something better is coming. Therefore, I do not have a great fear of dying. I will miss my loved ones, yes. They will miss me, yes. But I have come to know this one reality: The only person any of us have for our entire lives is ourselves. Everyone else, no matter how close or how distant, is merely along for our ride. Fear not, you have been traveling with yourself for a long time, and you will continue to do so. Blessings to all. Very well written and thoughtful piece Tom. I’ve watched two friends suffer through stage 4 cancer, cling to life through medical science to a bitter end. The last months where painful and horrible for both of them and their loved ones. I have survived cancer twice, and was told that I had a good chance of surviving both times. I took the treatments and I’ve added a few years to my life and time with my loved ones. And that time has been fantastic. However, having been through twice, if it came at 3rd time and the doctors told me that this was it, I would try to time things so that just before I became incapable of making decisions for myself I would take the pill. I don’t want my love ones having to suffer through watching me deteriorate before their eyes. Those are not the memories I want for my children. I want them to remember their father being able to communicate his love to them, I don’t want them to remember me being a burden on the family, ser me in constant pain and doped up, or a vegetable. And I can’t believe that God would want that either. I watched my sister die of ALS, her body detoriated over the months but her brain was sharp, she could see how she was dying, Her dignity was gone, she could not do anything for herself, when this disease moved up to her respority system and she could swallow, she shut herself down, no feeding tube for her she wanted to die when everything from her shoulders down count move, it was horrible to watch and there was pain for her, but no one helped, the hospice care was average. To my perspective, it comes down to the question of free will versus a divine plan. If we, whether by nature or by divine gift do indeed possess the right of free will and self determination, then even death is our right to choose or to resist. On the other side of the coin, there is the question of Divine will, no matter what name you place upon your deity, if some central figure has already measured the length of your life, the quality and the time of and method of your passing. Who are we to claim to even understand all the factors, what appears your choice may not be at all. If we are beings of Free Will, then we have that right, absolute and total, to choose for ourselves, how we live, what we do and in some cases even when and how we die. I believe in free will. That being said, we are each, as many have expressed, alone within ourselves. Beyond a certain point we can self determine, we can think and reason and analyze all the factors of our lives and we can make choices. However, our choices do not only effect us and our choices are likewise influenced by those around us. Every choice, large and small has effects that ripple out like a pebble in a pond. It falls to us to be mindful of the effects our choices, to give at least some thought to how the options we take will influence and impact others. I believe it is our right to choose, in so much as our lives allow, how to live and how to die. Just make your choice a mindful one, be respectful of how what you choose will effect those around you. I would continue, but then this narrative would become too much about me personally and that is not something I choose to do in this thread. Well thought out and well said. I am often reminded of the old saying that those who love you do not need explanations for your actions and for those who do not love you, no explanation will suffice. Personally, as a loving friend, I never want someone to suffer in pain and worse just because I do not approve of death with dignity. The choice is theirs to make and my feelings should not enter into their decision making process. How someone near and dear to me leaves this world is of little importance to me compared to the loss I will feel by their absence when they are gone. That absence will be felt regardless of the manner in which it happens. It will not be lessened or magnified by the mechanism. In fact, I would not be able to cope with the thought that someone would endure unimaginable suffering just because they harbored some concerns about what effect their voluntary passing would have on me. I should be their last concern at that moment. We don’t prolong the suffering of dying animals. Why would we do that to a person who chooses to die peacefully? “THEY SHOOT HORSES , DON’T THEY”…….I often wondered why….we let a person lay dying and suffering..without dignity of life….I’ve searched Bible verses and can find nothing that agrees with any kind of assisted end of life (to be clear …not suicide)……and again my heart aches as a Christian to ever have to decide…..for themselves or a loved one…. Like abortion or vaccinations….an individual decision without judgement… however, I continue to look for a loophole….where our CREATOR would not condone (behavior that is considered morally wrong or offensive) a decision to end with diginity and not watch a loved one in such agony! I recently had the honor of performing the memorial service for my mother-in-law. She was a DNI / DNR (do not intubate / do not resuscitate). It was heartbreaking to watch her deteriorate, body and mind. She was miserable and did not want to live. She needed help transferring from bed to a chair, eating, drinking, and toileting. When our dog was dying from cancer, we held her while the vet administered the drug that ended her suffering. With mom we could only watch her suffer and pray that God would take her. Yes, we treat our animals better than our old and terminally ill humans. My first step after a deadly prognoses and return of a cancer after treatment would be to seek another opinion and alternative medicines. The manner of our death should be of our own choosing. If you’ve never seen a loved one waste away and die in agony, it might be hard to grasp the difference between assisted suicide at the end of life and suicide as we generally know it, with those who are clinically depressed and believe (often wrongly) that their families and friends would be better off if they were dead. We treat animals more humanely than humans. It’s time to change that. After watching my Mother and a Nephew die after long suffering battles with cancer I am definitely for it, no one should have to suffer if they choose not to. Suicide is viewed as a sin but would a compassionate God want his children to suffer or would he want them to come home? The debate will be long, I’m sure. Perhaps Divine Will includes being the compassionate leader in our family and community by making the choice of when and how we die. I do not want my death to result in terrible memories for my loved ones and the potential for being taxed with exorbitant health care costs. I believe that my Divine entity will support me in this decision. God never gives us more than we can handle and it is often not an easy road. Suicide is never the answer. Woodrow, if only you would talk to people who have been given more than they handle, maybe you would see the rightness of being able to choose. If you have not been through this with a family member, you have no idea and bible platitudes will not help here. I will never ask my family to go through a horrible death with me. Just the expense alone is ridiculous. We do treat animals more humanely in this country than we do people. And a lot of that is due to religious people who believe they have the right to tell the rest of us what to do. By the way, you don’t. You make quick assumptions. My dad is in the middle stages of dementia and I have MS that has progressed significantly this year. My mother and grandparents all died of long term cancer. Everyone has problems but none of them were weak minded and gave up. Killing yourself does not give you dignity. God does give people more than they can handle. Sometimes in the form of depression, abuse, and with young minds, bullying and I acceptance from loved ones. Sadly, That is where suicide comes in. Very sadly. Another religous comment I’ve heard often is “only God can decide when you die.” Well, many people would die without the medicines administered. If it were truly “Gods decision” then we should not give any medications and let “Gods will” be done. I do not agree with either of the above. I say god gave us choices and it is ours to make. We have a right to live without pain. We have a right to make a quality of life choice. I put it in my will and I hope it is respected! Peace to all. These laws basically cover people who have been given 6 months or less to live. You just can’t show up and say hey I’m depressed kill me. It does mean people who deal with long term illnesses such as ALS, MS, dementia, or if they are paraplegics or quadriplegics are not covered under something like this until the very end – maybe. Individuals with long term illnesses don’t get the out, instead most of them will fight and deal with their crippling illnesses/diseases for years or even decades. However a chronic smoker with terminal lung cancer can take the easy quick way – that seems about right. I admit as someone with severe MS some days I wish it would end, however I’m not giving in. I have one life and I plan on playing the hand I have been dealt to the very end. Furthermore people act as if someone, other than themselves, has been preventing him or her from taking their own life.. No one is. No one can stop me if that’s what I want to do. People just want to try and feel better about killing themselves to help mitigate the situation and the impact of what they are doing. Also you can’t compare people committing suicide to euthanizing animals. It’s not the same. We kill animals on our farm that do not have terminal illnesses- and I’m not talking about for food – but such as a lame horse. I would imagine people with physical disabilities might not want to be taken out behind the barn and put down. I have had suicide touch my life. My grandfather shot himself when he was 47 years old. Back in 1973 they called it “wet brain”. His mind was gone, he needed professional help but nobody understood that back then. He was a bad alcoholic. He was a good man and I believe the Lord accepted him into heaven with open arms. I think if anyone is in a critical condition, on life support or dying of a fatal disease it is their choice to live or die. I would not want to live brain dead or in dire pain no longer than I had to. I think assisted suicide should be in your living will. I am all for it!!! She is in God’s hand and no one should have that authority to end no one life. Let her live you don’t know what God’s plans is for her. I wish that all people were given the right to choose if they wish to die or endure horrible pain caused by medication or radiation. Some people might feel that they can’t fight for their life, is not our place to judge. We should try to help ease their minds. Those that judge the sick should make the effort of imagination and see how would they feel to be in others shoes. I belive that the church should help the fammily of those that decided to use assisted suicide come to terms and accept the suffering persons decision. I don’t belive that the Creator wants his creations to suffer just because he gave them life. The Creator gave his creation Free Will and He/She accepts his creations decisions. So, I belive it is not our place to judge or decided if another person wishes to end his suffering. I have personally watched two of my loved ones wither and die agonizing deaths due to cancer. It is something that changes you forever, and you never get that out of your head for the rest of your life. Pain management isn’t that good when they are screaming in pain at the end. I would want to end my life on my terms should I become terminal. If my loved ones could of ended it peacefully, I might not suffer from nightmares of watching them die now. I would not let my pet suffer such agony why would I want to let a loved one suffer so? And if I have to move to one of the states that do allow it, I will do so. cancer, for any any number of reasons, we do not want to see them suffer. We have them put down. It is a simple needle that just puts them to sleep and they die. However, when it is our parents or grandparents that are suffering, what do we do? Watch them suffer. They go into hospital or nursing homes, where they possibly get care, but not the love and compassion they need. enough is enough? Only in the instance of a Do Not Recusitate order. The Right to Die, should be legalized but I believe that the act of assisted suicide should be a joint decision between the person suffering and the drs. Let us start treating our sick as compassionately as we do our pets. I pray for those who are in pain from debilitating diseases, no one orders a disease, it happens. I didn’t believe in life,I am pro life, however, in cases like the one mentioned, which I followed by the various news outlets, I do believe we should have a choice on how our life ends. God gave us the ability to make choices. I also love the rainbow in the sky, to me that is a direct call to me from God. Suicide is a very difficult choice, and many would like to judge a person that did choose this option, no matter what the reason. Many would call someone who chose this weak or coward or the easy way out, however at the end of the day, I personally believe that this should be up to the person making the decision and no one else. You can’t honestly judge someone that chooses this without walking a mile in their proverbial shoe, and that is simply impossible. You can never know what is in someone’s head, their thoughts and feelings…and without these things you cannot walk a mile in their shoes therefore you cannot judge. I personally feel that assisted suicide is a blessing to the person who decides to take this route. There is the benefit of knowing that it will be done correctly, rather than being unsure and possibly messing it up and being worse off than you were before. I think it is akin to abortion, honestly. While I would personally never get one, I am extremely grateful that that choice is mine alone to make, nor would I ever judge someone who decided to use that option. Its not my life, I don’t know this situation or the circumstances surrounding it. What I do know is; if someone really felt strongly about needing to do this, and it was illegal or there was no option for it, there is a strong possibility that they will attempt it themselves or in some back alley makeshift doctor’s office. All kinds of risks and health factors are added because of this, including fatal results for the person who feels they need to get the abortion, as well as not ever being able to conceive a child later in life, to a myriad other health issues, both mentally and physically. It is their body and they should have the right to make the decisions that will affect it. Assisted suicide definitely affects their body, their mind, and sometimes their sanity. Again, not likely something that I would ever personally choose, but I would be very grateful that that decision was also mine alone to make, nor would I judge anyone that did choose that option. However, if I were on life support, I would want the plug pulled after a month and have a standing do not resuscitate order once I had been disconnected from the machines. Every hospital in the United States has that option, and isn’t that a form of assisted suicide? Imagine if you couldn’t make that choice and had to be stuck on life support indefinitely. What a horrible life not only you would have for the remaining time, but your family members who are worried about you and hoping and praying that you will come out of the need to have to be dependent on them. Not to mention the increasing medical bills as time goes on to maintain your body in this vegetative state. We don’t have to have a whole lot more hospitals or long term care facilities. If you don’t make the decision when to have the plug pulled, your closest next of kin can make that decision for you at any time. That sounds an awful lot like assisted suicide to me. It may even sound like murder if the person that is on life support never made their feelings known about this situation or didn’t want to be taken off and the next of kin chose to have it done anyway. Oddly, most people do not see these options as murder, assisted suicide, or anything wrong with the person that is on life support having an advance directive stating what they would like to have done in this situation in their medical file or the next of kin being able to make that choice on their behalf. In fact, many people are thankful that there closest next of kin would have an advance directive, so they don’t have to make that choice for them. These are definitely forms of legal assisted suictide, if you really stop and think about it; they’ve just never been called that before… and it’s perfectly acceptable in our society. I believe death with dignity is a movement whose time has come. in the United States we tend to treat or animals kinder than humans who care for them. If we were to do to animals what many physicians do to people we would be arrested. so I totally support death with dignity. Wow this is interesting. My brother and my best friend is dying of cancer. He has fought this for 5 + years. I believe my job is to support him sick or well. He has had many good days and days he has been very ill. I’m not quite sure how recovered from the Chemotherapy treatments he was extremely ill. Probably more ill than the cancer would make him? It was his choice to do the Chemo his choice to do the protein blockers these medications made him extremely ill. I think this bought him time. I never claimed to know how much pain he can endure. He has a tumor pressing against his spine I can see the pain in his face he has not left his bed for three weeks now and has to wear diapers.. Sometimes the pain medication makes his speech impaired he still has faculties and at times can work with no slurred speech. Everyone has there own pain threshold and set of circumstances. Who am I to decide that is a personal decision I believe I’m here to support them and there difficult decision. We have Law makers making those decisions they cant even balance a budget. It is the individuals personal decision How and When!!! I worked as a hospice nurse’s aide for ten years in a two-bed “comfort care” home in the state of New York. Because of the size of the home, we did not receive certain grants and privileges that are given to “hospice” homes — larger facilities that must comply with state regulations. The place where I worked relied upon donations and volunteers. So, because of this, we, as volunteers, were legally allowed to give medications to the residents, counsel residents and their families, and keep their medical diaries current. We recorded every thing each person ate, how long they slept, when they were bathed and shaved, when their linens were changed, what kind of bowel movements they had/measured their urine output, listed any visitors they had/length of visit/how the visit went, what the resident’s mental state was, what regularly scheduled medications were given, what PRNs were given (those are additional medications that are requested) and how each medication affected the resident….etc. Some volunteers did not give medications, as they were not comfortable with doing that, but I did give medications for all ten years I was there. I grew to know every medication’s use, efficacy, etc. and became quite comfortable with it, and in addition to that our home sometimes gave night seminars to help our understanding of these medications. But really, one learns it via doing it day in/day out. In this facility there was no charge to anyone to stay there–it is totally free to the family/patient, but the eligibility requirement is a Dx of less than 3 months AND a signed DNR (“do not resuscitate”) by the patient. So you see, these details play into what a terminally ill person’s “rights” are. We obviously did not have euthanasia there, but had it been legal, I would not have done it without a legal DNR in place, regardless. Most of the general public has either not been in the position of hands-on palliative care of one person, much less many, many terminally ill persons, so there is a lack of proper perspective on this subject. And if a person has had the experience, it is often with a loved one, so they may feel overly emotional, or they may shy away from doing the dirty work of the 24-hour hands-on care. In other words, their own perspective is skewed–they don’t see the full picture. From my own experience I will say far less than 1% live beyond their diagnosis…but that only mans they lived an additional month or two (at most). They are in constant pain and need 24-hour care. Another thing I learned is people die as they lived, either waiting for loved ones to come for a final visit, or waiting for loved ones to leave the room to die in privacy. It can happen very quickly, too. They can be talking one minute, then die 30 seconds after a person leaves the room. So, in essence, people actually DO die when they are ready to go. They do make the decision. So, to make the decision to go sooner should be their right. I totally support this way of choosing to transition. I know transitioning is not the end of a life, only a change to a different dimension. There are too many experiences to deny this on my end. It is not final–but the physical body is finished, and there is no going back. There is absolutely no point in continuing to suffer, and it is up to each individual to know when their business is finished here. The only issues I see here are the legal ones….how do we really “know” when a person is terminal? And let’s say they are, and it is from cancer, and they have life insurance. Will the policy pay out to the family if that individual chooses euthanasia? I say that it should. So this is going to be a huge philosophical question, debated many times, as these issues “beg the question”. people think they are alone, but if you go into the quiet you can hear the sweet voice of God and he will call to you, and guide you, all you have to do is listen. If you hear negative or destructive voices that is not of God but your own devil. you must be able to distinguish God from your Devil. God is Love, ANYTHING else is of foreign nature and not of God. When you can learn this you need religions no more. Having been to “the other side” at a young age, and being offered the power to step back into life, I can only say that the free will to return was there even after I was pronounced dead. There were no words, visuals, or anything tangible, just a way to decide to come back. 50+ years later I am still grateful, and have no doubt that should I become ill to the point of making the decision to live in pain and suffering or to end it – I will choose to end my life. Less than 1 year after this accident, my grandma came upstairs (which she had been unable to climb for years) and told each one of her 5 grandchildren what she was grateful for, and loved about us. Four hours later she died peacefully and with what we always called her “Wise Women” smile. Life is full of mysteries and I can hardly figure out the ones in my own life, much less others. I came here, on a religious forum, a Wiccan and believing I would be the voice of opposition. I couldn’t have been more wrong. I am so relieved to find that many Christians really do believe in free will and all that it stands for. For that means that it could be possible to experience Death With Dignity in my lifetime, in my state, without having to move so far away from my family to avail myself of the option, which would defeat a large part of the purpose of it. I’m pushing 70, and my greatest fear is becoming a burden on my family and forcing my children, grandchildren and great-grandchildren to witness a long, expensive, painful, and undignified passing by me. I would never choose that to be their last experiences with me. Nor would I choose an open casket at my funeral. Thankfully, I am presently in good health. But I watch these debates with much interest. It saddens and frustrates me no end to know that there are too many folks out there who want to make this crucial decision for others, instead of allowing them to exercise their own free will. For, it doesn’t concern me overly what YOU BELIEVE. But it is of the utmost importance to me whether you believe you have the right to tell ME what I must abide by. Doctors who say they must adhere to the Hippocratic Oath and do no harm should ask themselves if there isn’t a greater harm in doing nothing significant for a persons pain, suffering, and dignity. That oath can be interpreted to mean different things, just as the bible, the Constitution, and any written words are open to interpretation. And how a person interprets such things is often telling about their mindset and character. We are all terminally ill in this body. There should be no question to end suffering. We must be clear. It is not assisted suicide. It is not suicide in any way shape or form . It is assisted passing for competent, terminally ill patients with no medical options. My husband suffered. He deserved a death that represented his beautiful life. This is death with dignity and should be a civil right for those that choose this kind of exit, in lieu of suffering. It is a compassionate choice. As with most things, this is an individual choice. It should be available and we should not judge others for what they decide to do when we don’t carry their load. For me, it would be FAR better to know the choice was mine and if life became unbearable I would not have to suffer any longer. Well, actually the choice always is mine, and there are many ways to get the job done, but peace and dignity are available if we only change the laws to accomodate. Yes, without doubt we have the right to choose when to transition from this life back to source and should be “allowed” by law to exercise that right. Whether we choose suicide in its pure form or “assisted” suicide, is neither here nor there. It’s a technicality. We can sign forms to NOT BE hooked up to a machine or be resusitated…………….WE HAVE THIS CHOICE NOW…..so that you won’t have to be brought back to a prolonged bedridden existence. The paramedics….in all cases I have heard of….ask….the loved ones this question…but, you must also provide a copy of a signed form with witnesses etc. or have already taken care of this with your doctor….so that he can comfirm the wishes of the patient to not be hooked up or resuscitated…..anyway…thought I might mention that…. Glad that now citizens of California have a choice as to how they choose to end their lives. Especially if they are in hopeless, excruciating, painful situations. It’s long overdue. It’s a completely personal decision. There should be no impingement on this decision by any religious entity – like the Catholic Church. I believe in the separation of church and state. Also, I think the Catholic church gets into too many people’s lives that are not Catholic. They try to set policy for everyone. They should get out of the personal business of citizens. Assisted suicide is a good thing. It’s more humane. Thank heavens Governor Jerry Brown made the correct decision regarding this matter. It’s about time. The question of suicide/assisted suicide is one that each individual has the right to make. Having that choice to end one’s life is precious. I recently lost my dad, luckily he Health Care Proxy in effect here in New York State. His end was made as comfortable as possible. I was so pleased at his age of 90 his cancer came back and the pain was too much, when he developed congestive heart failure he made the choice to let his life end. On the other hand I have seen my mother suffer and be eaten apart by what is now called Mesothelemoa. It took 15 years for her to die. She finally went to her maker in 1990. I think any state having the mind set to pass laws like this are doing a very good thing. I have always been for assisted suiced if handled responsiply. From a “religeous” point, would it be considered suicide or not? And would it be ONLY for those termaly ill? What if a family member was against it and the patient insisted, could that family member come back later insisting the patient was impared and sue the doctor? I personally think it is such a wonderful idea for those suffering. They are able to die with dignity and without leaving a burden on their families, both financial AND emotional!! You do raise a great point…..would it be considered suicide or not???? another never ending..
lets see if we can make this fly issue…..fact is….it is suicide…if you are not legally dead.. I am a caregiver, and I’ve witnessed departures. I accept it, because we were born dying. I think a choice is a beautiful option, and the person can answer the questions with God, himself. God gave us our bodies & dominion over them. As choice is God given, no one should question it. We come from God & return back to God when we leave this planet. We are concerned with recycling & yet we are the ultimate recyclable and should be able to choose that option for ourselves at our own discretion.